How Do Grasshopper Oil Drilling Rigs Work? When an oil well is dug, there is normally enough pressure to bring the oil to the surface. In time, however, the release of gas and oil in the trap lowers the underground pressure. When this happens, a drilling rig is required to bring the oil to the surface. The drilling rig is a machine that has a walking beam on top, and a drill rod sticking into the ground. 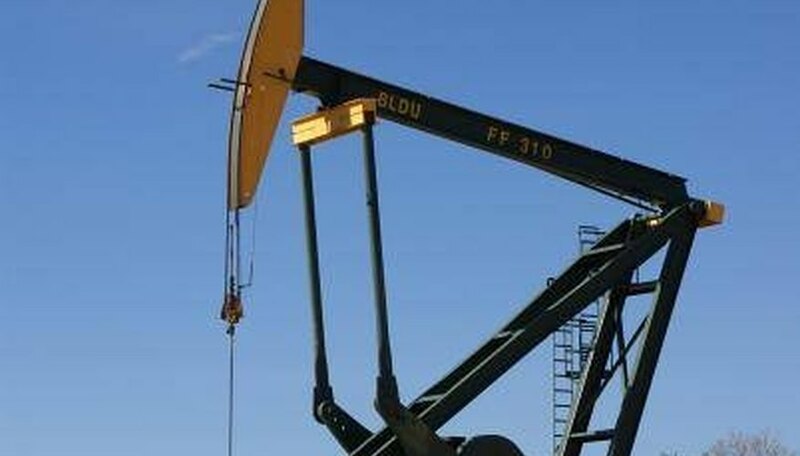 The main purpose of a drilling rig is to lift the drill rod on each upstroke, which will pull the oil out of the ground. There are three main types of drilling rigs: horseheads, air balances, and grasshoppers. The horsehead pump is the standard design. On a horsehead pump, the pivot is in the center of the walking beam. On one side of the beam is the drill rod, and on the other side are huge steel beams called "counterweights." A crank rotates the counterweights, which pulls down the walking beam at regular intervals. The beam then pulls up on the drill rod at regular intervals, which pulls the oil out of the ground. Air balances are different from horseheads because their pivots are on one end of the walking beam. They also don't use counterweights; instead, they use a compressed air cylinder. As the drill rod descends, it compresses the air in the cylinder. The pressure from the compressed air then pushes the walking beam back up, which pulls the oil out of the ground. A grasshopper is a combination between a horsehead and an air balance. Its pivot is on the end, like an air balance, but it uses counterweights like a horsehead. The weights, however, are in the middle of the walking beam rather than at the end of it. They pull the walking beam down, which pushes the drill rod into the ground. When they let the walking beam up, the drill rod pulls oil from the ground. Perles, Carrie. "How Do Grasshopper Oil Drilling Rigs Work?" Sciencing, https://sciencing.com/how-does-4965775-grasshopper-oil-drilling-rigs-work.html. 09 January 2018.